Al Haaj Muhammad Awais Raza Qadri Naats is surely the king of Sana Khu’wans around the world. He is recognized all over Pakistan for his Naat Khuwani. His heart touching and soulful voice has the tendency to grab millions of hearts worldwide. His Naats are filled with love and devotion for Holy Prophet Muhammad (صلی اللہ علیہ وسلم). This voice quality, unique style of expressing, and dedication gained his immense fame, popularity, and love from his fans in Pakistan and worldwide. Muhammad Awais Raza Qadri was born on 8th July 1970 in Pakistan. Muhammad Awais Raza Qadri is Intermediate in academic qualifications. 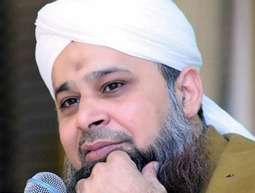 There are millions of Awais Raza Qadri's Naats fans worldwide who deeply admire him. Awais Raza Qadri Naats has released several beautiful albums, despite having taken no formal training. Awais Raza Qadri has traveled to Saudi Arabia, UAE, Syria, India, South Africa, and many other countries to recite Mp3 Naats as well as for preaching of Islam. In Hyderabad the city of India, there are more than two million people who attended one of his Naat Khuwan Performance and regarded him as a beautiful Naat Khuwan. Awais Raza Qadri naats create the record for most number of attendees in a Naat Khuwan. In the course of his performances, Awais Raza Qadri advises young people to learn the knowledge of Islam and to recite at least one Ruku of the Quran Daily. You can find a treasure of Awais Raza Qadri Naats 2018 here.